After the renovation: Carefully blending new architectural elements into the old resulted in a home that responds to today’s lifestyle needs as well as the historic nature of the Marven Gardens (of Monopoly fame) community. We love our older homes, especially those that are of historic origin. When it comes to living in such a home, however, it often becomes clear that the house was not designed to accommodate a modern lifestyle. Small kitchens, small rooms, smaller closets, and too-few bathrooms or bedrooms are telltale signs of outdated design. Rather than give up their older homes, many homeowners look to remodeling projects to bring them relief. Making potentially radical changes to a historic or otherwise well-designed house carries responsibility for both homeowner and remodeler. The original and appropriate scale, proportions, and details of the home must be respected in any remodeling project. The best solution, of course, is to upgrade the home’s interior finishes and make changes to the floor plan. Remodels can include opening up a kitchen to a family room, removing a wall and adding a bathroom to create a master suite, or finishing a full-height basement into living space. This permits the benefits of modern lifestyles without altering the exterior. Often, however, the planned project — such as the addition of a second story or a new wing — requires alterations or expansion of the home’s original form. This is common to many homes built before 1980, where the home is too small to accommodate contemporary needs. As a professional remodeling contractor, our challenge becomes reconciling the old and the new in a way that enhances the home’s original architectural value and appears to be a natural evolution of its forms and detailing. Expansion of an existing house is not a new concept. Century-old farmhouses and Tuscan-style villas, for instance, are famous for their layered additions, made to accommodate successive generations. Those changes, however, were always made with respect to their initial design. 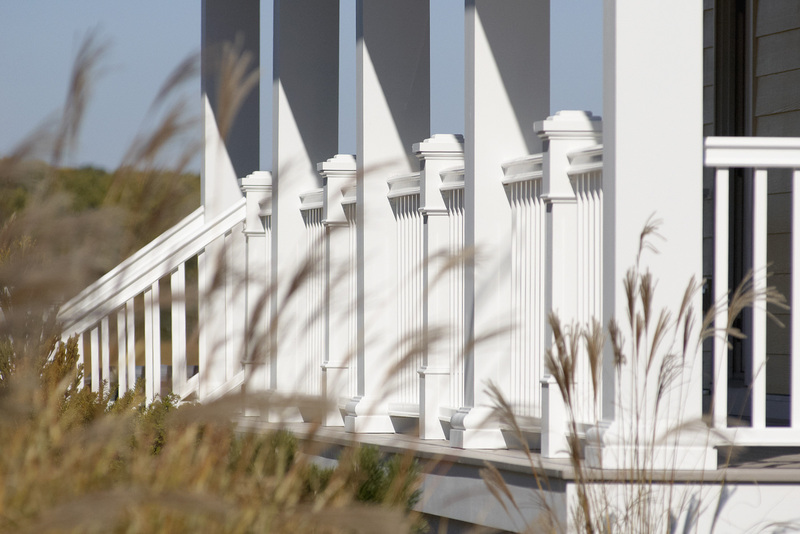 Respecting the initial design means more than just matching the trim of the original house. An “appropriate addition” considers roof forms of similar or complementary angles and shapes; windows and wall forms that are the same or proportionate dimensions; and detailing — such as roof overhangs and exterior finish materials — that not only mesh with that of the existing structure, but is appropriate to the particular style of the house. By way of example, here’s what not to do; a Mediterranean-styled, stucco-sided, tile-roofed house with a clapboard-sided, shake-roofed family room. I’m sure you get what we mean. We understand and respect the need to preserve the architectural value of an older home while upgrading, expanding, and improving that home to suit modern lifestyle needs. Performing this task well reflects our desire to retain the value of the older neighborhoods and communities in which we work. In addition, it gives our homeowner clients the best of both worlds: a beautiful, well-designed house with the benefits of contemporary conveniences.